We've included these beaches for you: Surfers Paradise Beach and Coolangatta Beach. Tweed Regional Gallery & Margaret Olley Art Centre and The Henderson Gallery will appeal to museum buffs. Explore the numerous day-trip ideas around Gold Coast: Brisbane (Lone Pine Koala Sanctuary, South Bank Parklands, & more), Redland Art Gallery (in Cleveland) and Caloundra (Dicky Beach & Moffat Beach). Spend the 19th (Sun) exploring the fascinating underwater world at Sea World Theme Park. And it doesn't end there: kick back and relax at Burleigh Heads Beach, get some fabulous bargains at Harbour Town Outlet Shopping Centre, view the masterpieces at Boomerang Art - Aboriginal Art Gallery, and visit a coastal fixture at Cape Byron Lighthouse. To see traveler tips, photos, other places to visit, and tourist information, read Gold Coast sightseeing planner . Sydney to Gold Coast is an approximately 3.5-hour flight. You can also do a combination of flight and train; or drive. In May, daytime highs in Gold Coast are 27°C, while nighttime lows are 15°C. Finish your sightseeing early on the 26th (Sun) so you can travel to Melbourne. Your cultural itinerary includes sights like Melbourne Central and Buxton Contemporary. Museum-lovers will get to explore Melbourne Museum and National Gallery of Victoria. Get out of town with these interesting Melbourne side-trips: Sovereign Hill (in Ballarat), The Great Ocean Road (in Torquay) and Werribee Open Range Zoo (in Werribee). Spend the 11th (Tue) wandering through the wild on a nature and wildlife tour. 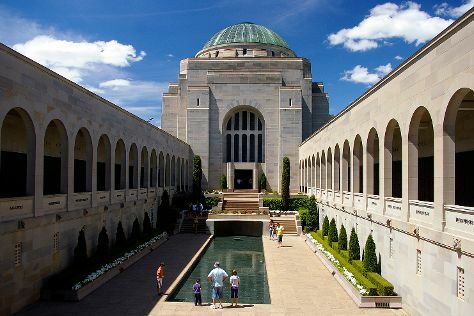 There's much more to do: brush up on your military savvy at Shrine of Remembrance, view the masterpieces at Blender Studios, get a taste of the local shopping with Collins St/Swanston St, and take in nature's colorful creations at Royal Botanic Gardens. For more things to do, where to stay, photos, and more tourist information, read our Melbourne holiday planner . You can fly from Gold Coast to Melbourne in 4 hours. Other options are to do a combination of train and flight; or drive. In May, Melbourne is little chillier than Gold Coast - with highs of 20°C and lows of 9°C. Wrap up your sightseeing on the 11th (Tue) early enough to travel to Canberra. Get a sense of the local culture at Australian War Memorial and Strathnairn Gallery. Your inner history buff will appreciate Mugga-Mugga Cottage and Free Serbian Orthodox Church St George. You'll find plenty of places to visit near Canberra: Bungendore (Bungendore Wood Works Gallery, Village Antiques, & more), Macenmist Black Truffles & Wines (in Bredbo) and Outsider Cafe Lounge Gallery (in Captains Flat). Spend the 19th (Wed) exploring nature at Namadgi National Park. There's lots more to do: admire the masterpieces at National Gallery of Australia, engage your brain at Questacon, view the masterpieces at Tootsie, and browse the exhibits of Canberra Glassworks. For ratings, photos, maps, and more tourist information, use the Canberra trip planner . Fly from Melbourne to Canberra in 3.5 hours. Alternatively, you can drive; or take a bus. Expect a bit cooler evenings in Canberra when traveling from Melbourne in June, with lows around 0°C. Cap off your sightseeing on the 24th (Mon) early enough to go by car to Sydney. Get a sense of the local culture at Brett Whiteley Studio and Darling Harbour. Get some historical perspective at The Rocks and Justice & Police Museum. Explore Sydney's surroundings by going to Katoomba (Blue Mountains Cultural Centre, Wentworth Falls, & more), Norman Lindsay Gallery & Museum (in Faulconbridge) and Falls Gallery (in Wentworth Falls). Spend the 1st (Mon) exploring nature at Sydney Harbour National Park. Spend the 3rd (Wed) exploring nature at Bradleys Head Trail. 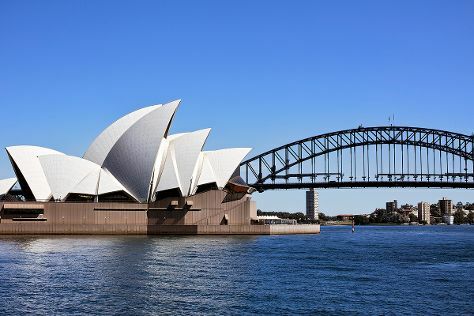 There's still lots to do: see a show at Sydney Opera House, take in the exciting artwork at Art Gallery of NSW, admire the natural beauty at Royal Botanic Garden Sydney, and examine the collection at Australian National Maritime Museum. To find photos, reviews, ratings, and tourist information, use the Sydney trip planner . You can drive from Canberra to Sydney in 3.5 hours. Alternatively, you can fly; or take a bus. Traveling from Canberra in June, expect Sydney to be somewhat warmer, temps between 21°C and 11°C. Finish your sightseeing early on the 11th (Thu) so you can travel back home.